And in my mind, that’s the challenge we all face when it comes to this holiday we call Good Friday. I guess for some people—people who don’t even necessarily practice the Christian faith—Good Friday might be good because it means a day off work—or whatever. But, assuming the Church wasn’t being ironic when they named this day Good Friday, there must be something “good”at the heart of this holy day, right? But wait! he wonders. If it’s so bad, why don’t we call it Bad Friday? That’s a good question. Why do we call it Good Friday? What’s so good about it? That’s what I want us to think about tonight. But in order to do so, it’s going to involve turning things upside down—reversing the way we normally see things. So I want to focus on three surprisingly good things that make Good Friday good. The first thing that’s surprisingly good about Good Friday is Pontius Pilate—and the fact that he’s a spineless coward who’s afraid to do the right thing. Now, don’t get me wrong and please listen carefully: the fact that Pilate is a spineless coward who’s afraid to do the right thing is not good in and of itself; rather, it is sinful and evil—and Pilate is going to face God’s judgment for this. But God is going to use Pilate’s sin and evil to accomplish something very good for us. That’s just the kind of thing that God always does! When I was a kid, we had a neighborhood bully named Ricky. And we didn’t have all this “anti-bully”stuff back then. I had to fend for myself and fight to survive on the mean suburban streets of Peppermint Court and Hershey Lane. It was tough, I tell you! When I was in third grade, Ricky was in sixth grade. And he was only in sixth grade because he already had to repeat a couple of grades. So he was already a big kid relative to his grade level, and a bully on top of it. I used live in fear of Ricky. He constantly threatened to beat me up and beat my friends up—I’d seen him do it, too. I hoped he was bluffing, but he wasn’t. And sure enough, as I was walking home from the bus stop that afternoon with my older sister Melinda, Ricky came up to me and cold-cocked me, right in the gut. Knocked the wind out of me. I started crying, naturally. But then my sister did the sweetest thing she had ever done for me—I mean, to this day, the sweetest thing. She hurled her aluminum Little House on the Prairie lunch box at Ricky’s head. And it hit him right in the temple, and guess what Ricky did? He ran away—he ran away fast. He seemed genuinely afraid of my sister and her lunchbox. But that’s how bullies usually are, right? No matter how tough they seem, when you stand up to them, they back down. And such is the case with Pilate. He’s a bully and a coward. He seemed so tough with the Roman army at his command. He held the power of life and death in his hands. And he seemed so willing and able to teach these rebellious Jews a lesson. But when confronted by an angry mob, what does he do? He backs down, even though he knows they’re wrong. He knows Jesus is innocent, but it’s more important for him to save his skin than it is to save an innocent man’s life. I know I’m supposed to feel really bad about Pilate’s act of cowardice. But why? I’m glad he was a coward because through his cowardice he sent Jesus to the cross—and it’s a good thing Jesus went to the cross, because that means our salvation! It’s a bad thing that Jesus had to go to the cross, to save sinful humans like us, but it’s a good thing that he went. 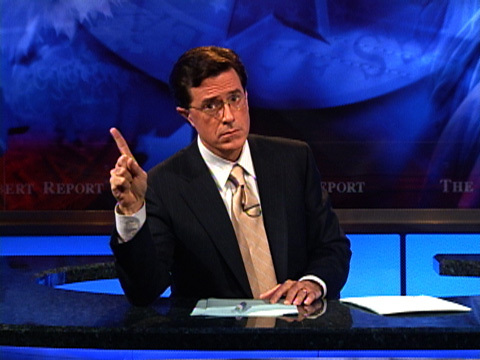 You probably heard last week that Steven Colbert has been chosen by CBS to succeed David Letterman. Speaking as a 30-year Letterman fan, I think he’s a great choice! Regardless, Colbert is a deeply committed Christian, a Catholic, and he’s outspoken about his faith in a way that few celebrities are. On Ash Wednesday, for instance, he’ll have ash on his forehead on TV. Colbert gave an interview in the New York Times last year about one of the most tragic things that can happen to someone: In 1974, he lost his father and two of his brothers in a plane crash. He said that his mother taught him to be thankful no matter what life throws your way. What Pilate does is genuinely evil. But evil is no match for love, and God transforms it into something very good. And if he can do that with the bad stuff for which Pilate was responsible, he can do that with the bad stuff that comes our way! So even Pilate is one good thing about Good Friday. A second surprisingly good thing about Good Friday is Barabbas. Now, Barabbas himself was hardly any good at all. Again a sinner who will face God’s judgment for his sin and evil. He was a murderer, a violent terrorist who’d probably killed innocent people. The point is, we’ve heard so many preachers preach about what a bad person Barabbas was—and how could these crowds possibly want Pilate to release a violent murderer like Barabbas and not Jesus. And it’s just a terrible injustice, we say. Unthinkable! we say. These crowds didn’t really want Barabbas set free. I mean, who could honestly want a man like Barabbas to be set free? Well, I can think of exactly one person, besides Barabbas himself, who sincerely wanted Barabbas to be set free. You want to know who? How is that not incredibly good news for someone like me… An you—because if Jesus exchanged his life for Barabbas’s life that means he’d do the same for people like you and me—and he has done the same for people like you and me through his suffering and death on the cross! What are these preachers talking about when they complain about how unfair it is that Jesus’ life was given in exchange for Barabbas’s life? Unfair? “Well, yeah…It’s unfair. What’s your point? I hope it’s unfair!”Otherwise God would just give us what we deserve! I don’t want that, do you? 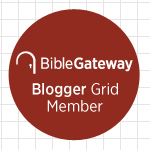 God’s grace is about the fact that we don’t get what we deserve, and if Barabbas reminds us of that truth then I think the story of Barabbas is one of best things about Good Friday. It’s one thing that makes Good Friday truly good! 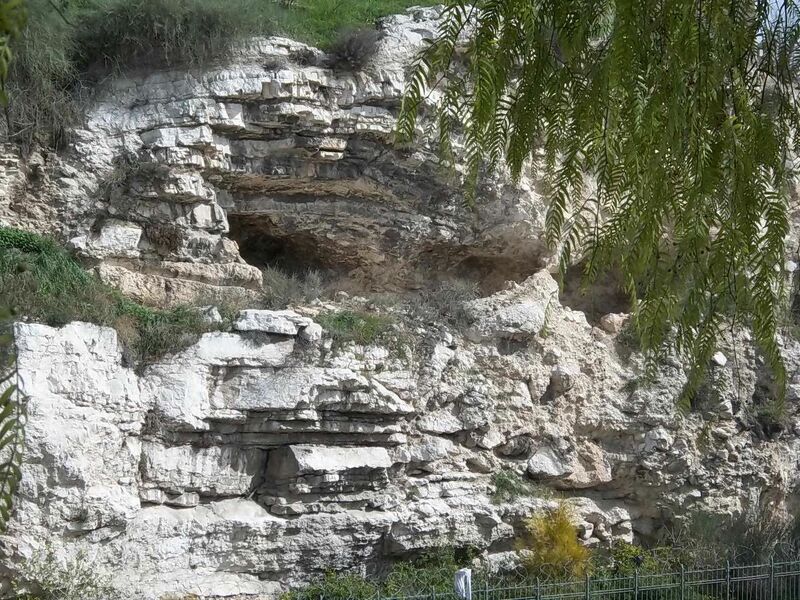 The “good”of Good Friday is only that in the deepest, darkest hole, God is present. Not that any solution is offered or that any problem is fixed but that the Divine one is near. “In the deepest, darkest hole, God is present.”That’s the “only”good in Good Friday? In the case of what happened on the cross, that’s almost exactly opposite of the truth. My response to this pastor’s Facebook post. That’s why, despite what Mel Gibson or anyone else might depict in a Hollywood movie, it’s not the physical pain that Christ endured that made the cross so unimaginably painful, it was this spiritual pain of separation from his heavenly Father. Psychologists would say that divorce is one of the most traumatic things that can happen to someone. That kind of separation, however, doesn’t compare to this because Jesus is closer to his Father than any husband and wife could ever be. The death of a loved one is another traumatic separation, but it doesn’t compare to what Jesus endured because no two people can be as close as Jesus was to his Father. Why did Christ endure this separation? See, I don’t need the cross to show me that God is with me now when I suffer, but that God will be with me in eternity because God suffered for my sins now. I don’t need the cross to show me that God is with me now when I suffer, but that God will be with me in eternity because God suffered now. And that’s the best news that Good Friday has to offer. That’s what’s so good about Good Friday. Thank you, Jesus, for enduring the cross and separation from our heavenly Father so that we could become children of our heavenly Father. Amen. This entry was posted on	April 21, 2014 at 12:33 pm	and is filed under Uncategorized.